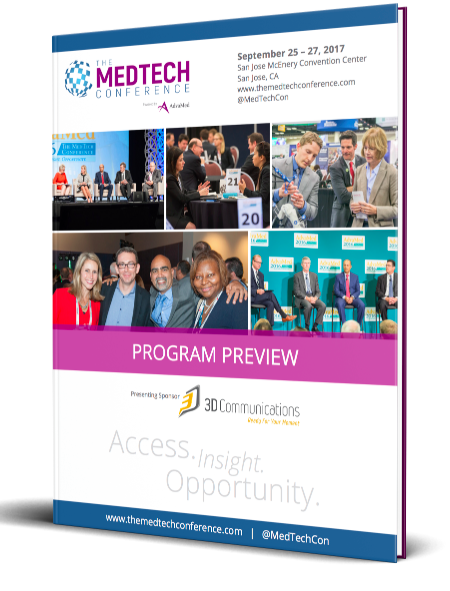 With returning programming such as the popular CEOs Unplugged series and the MedTech Innovator competition finals, it is sure to be an exciting week in San Jose. We’ll also have new special programming, such as the Innovations in Global Health Program aimed at exploring ways to improve the health and welfare of patient populations in the developing world, and ample business development opportunities for companies and organizations of all sizes. We can’t wait to see you in San Jose! Register today to take advantage of the early bird rate (which closes on July 7), and check out our Program Preview for details on special airfare and rental car discounts.